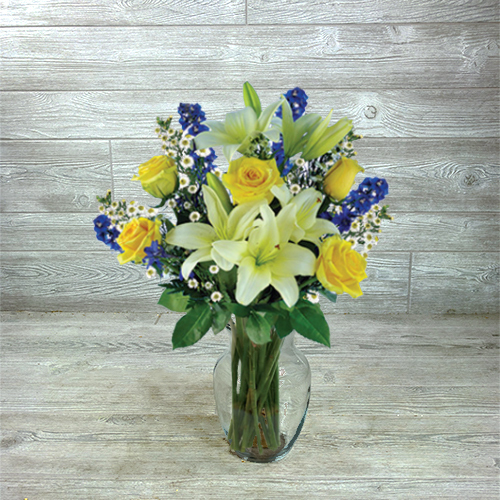 This elegant bouquet was inspired by tranquil thoughts of happiness and sunlight. 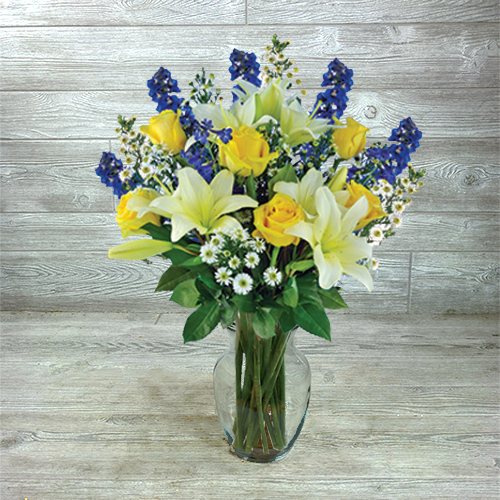 Blooming with fresh flowers, including white lilies, yellow roses and blue delphinium, this arrangement is gorgeous and perfect for any occasion. 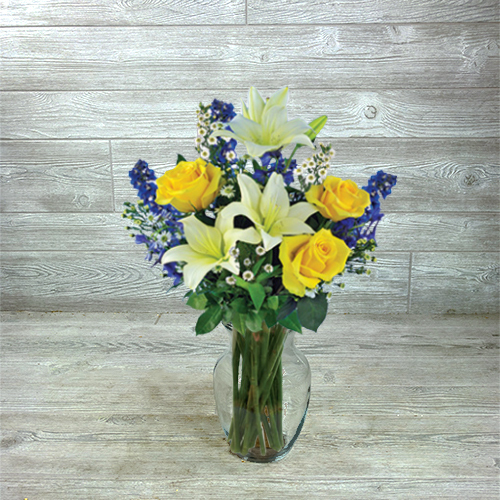 Surprise someone special today with this uplifting arrangement, designed special by floral experts and delivered same day. For an extra added surprise, include some chocolate or a balloon to your order.